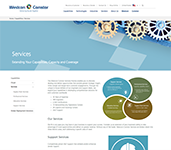 Westcon-Comstor is committed to providing our customers with outstanding customer service. Our dedicated Customer Support Team looks forward to enhancing your business experience with our company. All items to be returned to Westcon-Comstor Americas require a Return Authorization (RMA) Number. Before being issued an RMA Number, your request for return of product will be reviewed against this policy and any applicable manufacturer regulations for product returns. 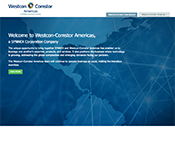 Any questions regarding Westcon-Comstor Americas or manufacturer return policies should be directed to a Westcon-Comstor Americas Customer Support Representative. In order for Customer Support to issue an RMA for DOA/defective product, it must be must be covered by the manufacturer’s warranty and Westcon-Comstor Americas must be able to return the product for credit to the manufacturer under their policies. Please note that several manufacturers require that you provide Westcon-Comstor Americas with a case number or returns number issued by them prior to Westcon-Comstor Americas processing the return. Please include manufacturer case numbers for applicable products with Westcon-Comstor Americas RMA requests. Some manufacturers require that DOA/defective product be returned directly to them. Please contact these manufacturers directly for RMA approval and return procedures. Requests for return of DOA/Defective product past 30 days from the date of Westcon-Comstor Americas invoice must be submitted to the manufacturer for warranty replacement. Product must be in re-sellable condition, in original packaging with an outer seal that has not been opened or re-taped and must still be a stocked item. Requests received in this condition within 30 days of the date of invoice will be accepted and will not be charged a restocking fee. Drop ship orders for items Westcon does not stock are not returnable unless prior approval / RMA from Manufacturer is provided. New and unopened product return requests received more than 30 days after invoice are considered to be out of policy return requests. These type requests will be considered on a case-by-case basis.